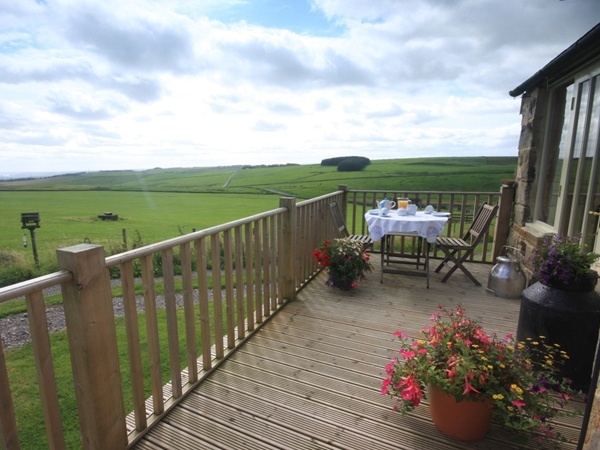 The Old Farmhouse is located on a 600 acre hill farm in the Northumberland National Park in Hadrian's Wall country, offering self catering in this cosy barn conversion. 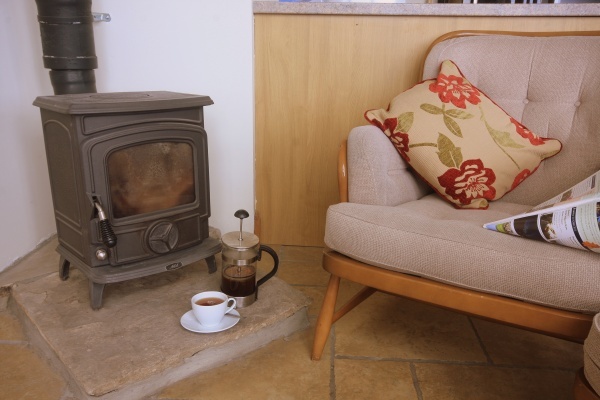 The cottage has a wood burning stove and underfloor heating. This award winning property includes a stunning open plan kitchen/lounge/diner offering spectacular rural views straight across the magnificent Tyne Valley. The ceiling height windows frame a perfect, unspoiled landscape as far as the eye can see. 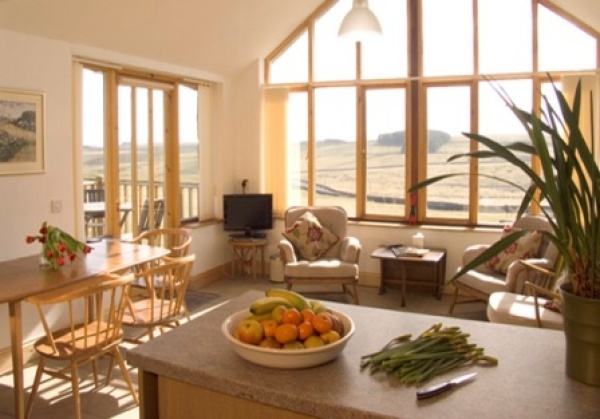 Close to family friendly pubs and restaurants, the Hadrian's Wall World Heritage Site, Northumberland National Park, great cycle routes and local amenities The Old Farmhouse is the perfect base for families and couples to explore the delights of Northumberland. 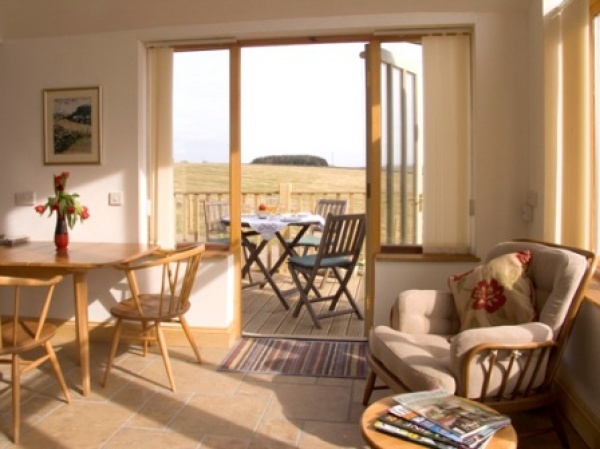 With so much to see and do you won't get bored at The Old Farmhouse! With under floor heating and a cosy wood burning stove The Old Farmhouse also offers an excellent winter retreat to relax and unwind with family and friends. 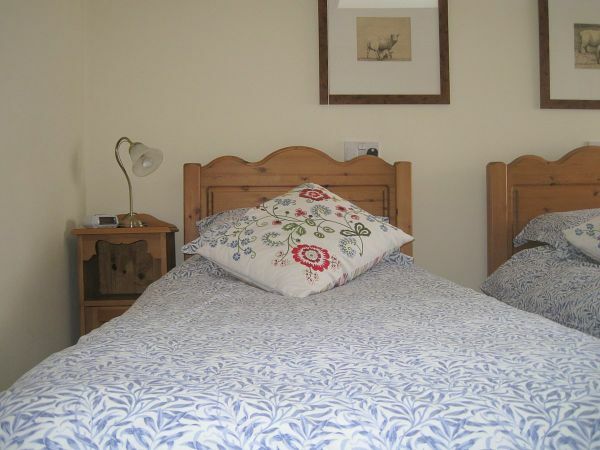 There are 2 bedrooms which can be made up as twin beds or luxury 6 foot beds, both rooms are en suite. An extra bed is available (good quality folding bed) if required. 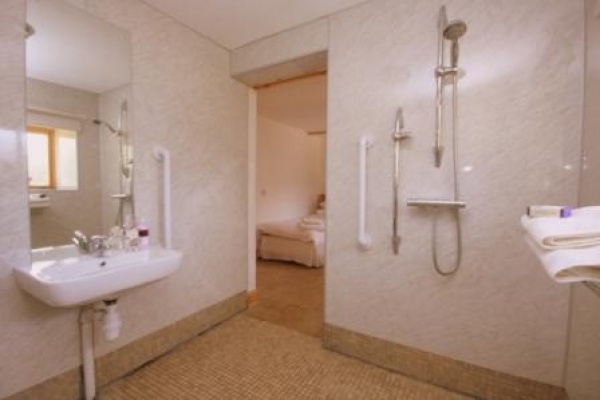 A walker's and cyclist's paradise, we are wheelchair accessible, dog friendly and WiFi available.